Not much photography lately. My time at BHFT this week was a constant rush, trying to get last week's work done, as well as keep up with everything from this week, too. And I spent way too much time today in just creating one comic. 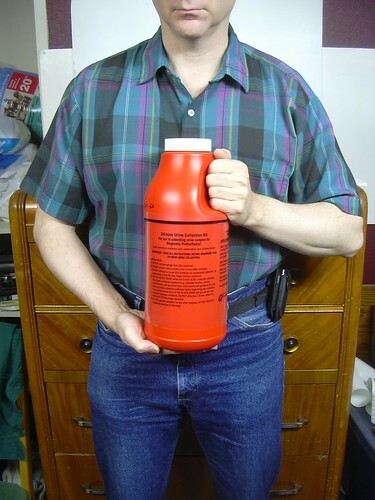 You've probably never collected all your urine in a 24-hour period (perhaps you have; I don't know everything you do for fun). I did it for a battery of tests that should reveal more information on the metabolic issue(s) causing my kidney stones. So that's what I did on Labor Day. And I've probably said more than you wanted to know. 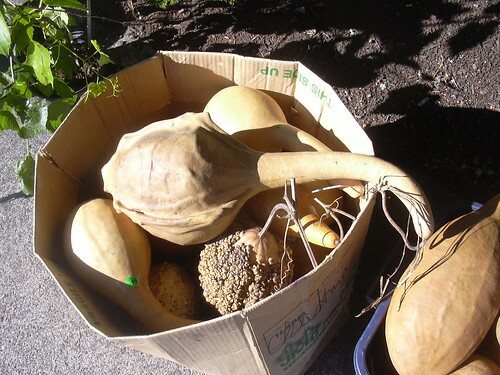 This box of gourds was at the Milwaukie Farmer's Market today. The top one was unusual, so I took a photo of it. That's pretty much the whole story. 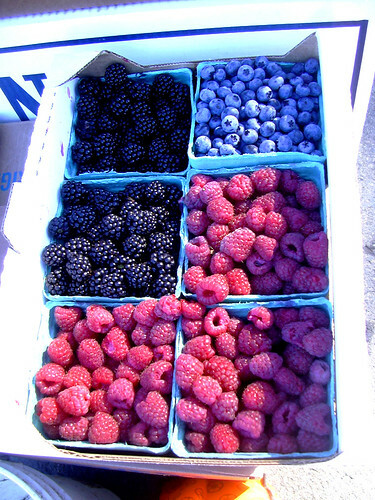 These berries looked really tasty, so I took a picture of them, too. Hz, as well as Ernie the Genie Who Lives In The Ceiling, likes eggs. 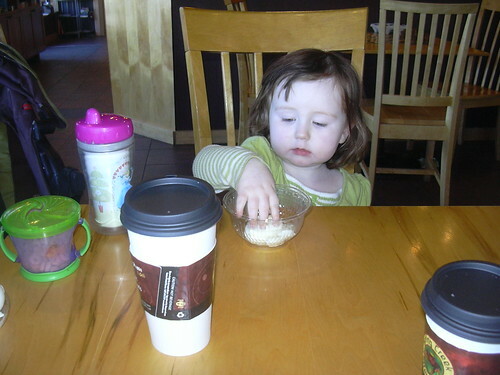 Which can be procured at the coffee shop we go to after the Farmer's Market. See, this is how dull my life is. I'm taking pictures of gourds, berries and slugs. 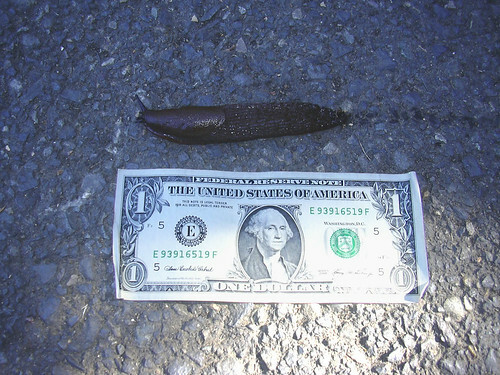 Dollar bill provided for scale (it was my dollar, not the slug's). drarwen's friend J is visiting this weekend. 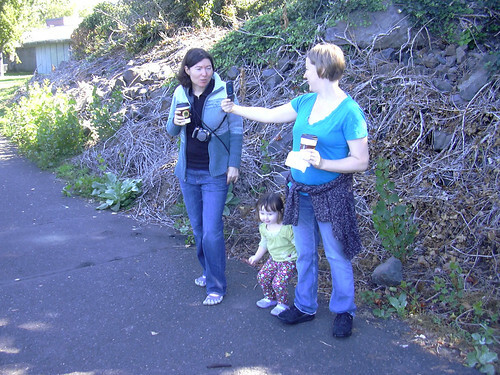 She helped us walk to the Farmer's Market, stop at the Coffee Shop and look at a slug. I'll try to do more interesting things this next week, so I'll have more photos.